Do you have an awesome idea for a mobile app, or some unique 3D interaction to attract attention? Need a solid website for backoffice administration? Epona Labs would love to help out! Whether you have a fully specified design ready, or require someone to help flesh out your ideas from day one - make sure to get in touch. Sometimes, building software from scratch is not the best solution. Feel free to contact us for improving, connecting or modernizing your legacy applications as well. 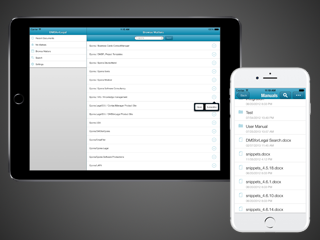 This mobile client for the SharePoint-based DMSforLegal enables legal professionals to access their documents and email on the go. Access the same matter centric and efficient experience as on the desktop - anytime, anywhere. 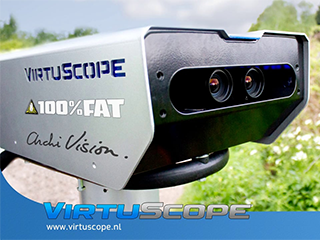 The VirtuScope, a project by 100% FAT, is a physical telescope that provides users with an enhanced view of their environment through Augmented Reality. While the bulk of the magic happens in Unity, dedicated C++ plugins are used to unlock the imagery from various industrial quality camera's in real time. 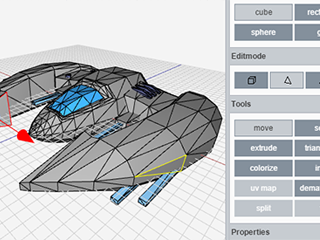 Figuro is an easy, online 3D modeling app for everyone. It is currently in public beta. In addition to the realtime WebGL based 3D drawing functionality, Figuro also encompasses an online community ecosystem, including a 3D model library, discussion forums, sample game implementations and more. 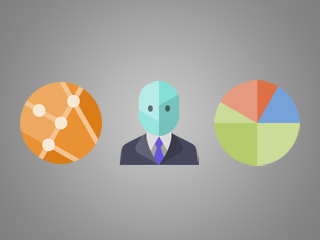 Some clients use a full set of tailor-made software to optimize their business processes. Made from scratch, or evolved from previous systems that have been outgrown. Other clients need a specific clever tool developed, or just need occasional remote assistance with a challenging development issue (2d/3d graphics, mobile deployment, debugging, etc).